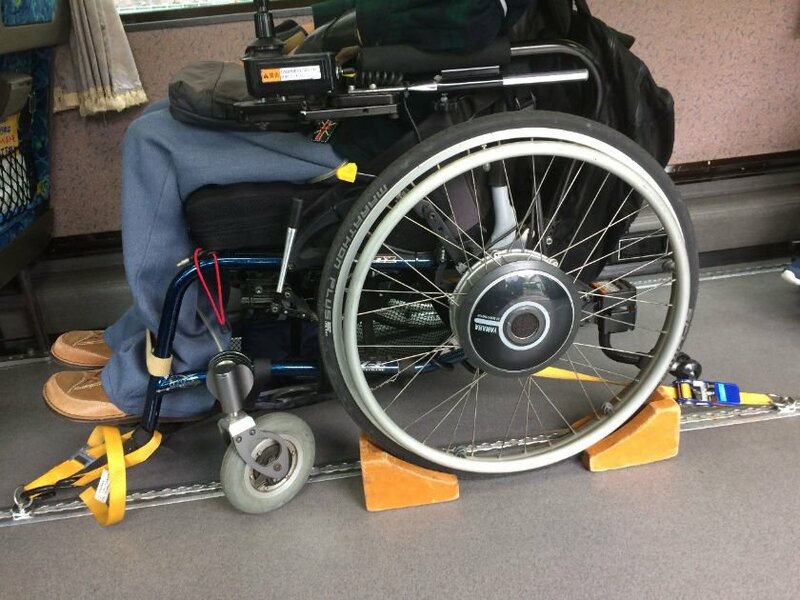 For the 2020 Tokyo Olympic Paralympic Games, the accessibility of public transport in Japan is improving. 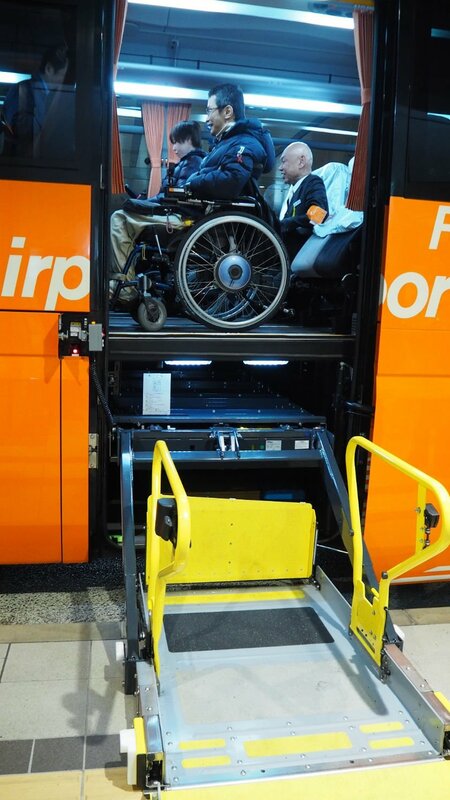 An airport bus with a lift is one improvement. 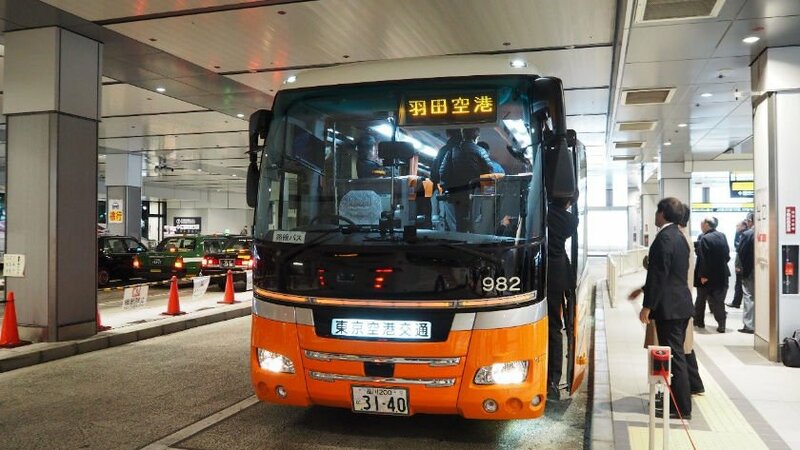 In the Tokyo area, the first airport bus with lift started operations from Tokyo City Air Terminal (T-CAT) to Haneda Airport International Terminal in 2016. 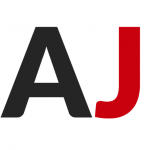 In addition, from Shinjuku Expressway Bus Terminal (BASTA Shinjuku) to Haneda Airport International Terminal Route is also started operation in 2017. 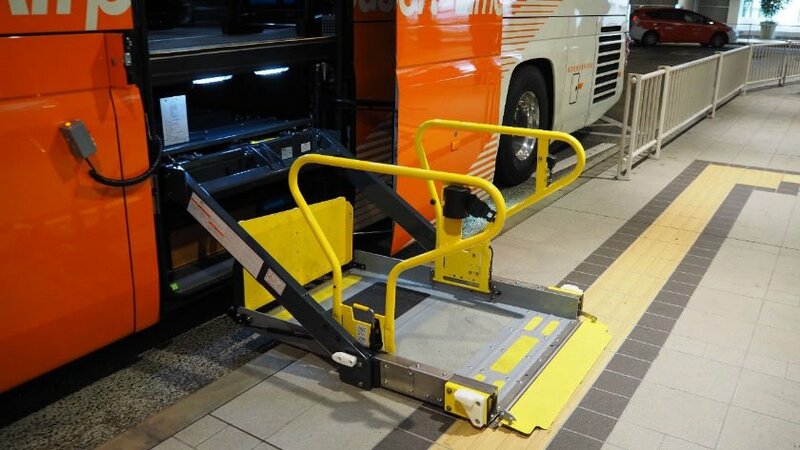 An electric lift is equipped on the bus, and wheelchair users can ride on the bus with their wheelchair. To make space for a wheelchair user, two rows of two seats each were are removed. So, for one wheelchair seat, 4 general seats are removed. And 2 wheelchair seats are available in a bus. The size of a wheelchair must be less than 120 cm in length, within 109 cm in height and within 70 cm in width. 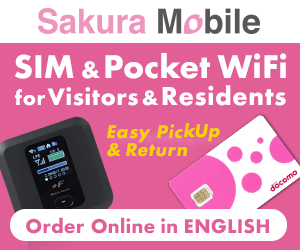 You can purchase a ride ticket by phone (Japanese / English), ticket counter at the terminal, or ticket vending machine. If you book by phone, you must do it the day before the ride day. If seats are available, you can buy directly at the ticket counter or ticket vending machine even on the day of the ride. If you use the bus with wheelchair, you should arrive at the boarding area 20 minutes before departure time because it takes time to prepare for boarding. Terminal staff makes space by sliding the seats out of the way for the wheelchair. After that, the staff operates the lift. 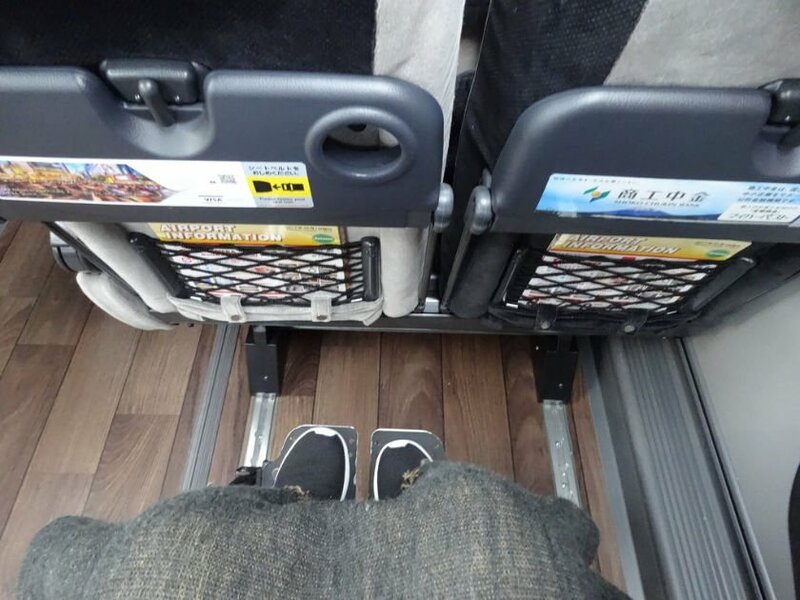 After you move to the interior of the bus, they use a belt with hooks on the 4 points (front, back, left and right) of the wheelchair to the floor to prevent accidents. These tasks will take around 15 minutes. When I was riding the bus with my electric wheelchair with 6 wheels, there was room to change direction inside. I could also recline my wheelchair. Since it was easy to see from the windows, I was able to enjoy the scenery outside. 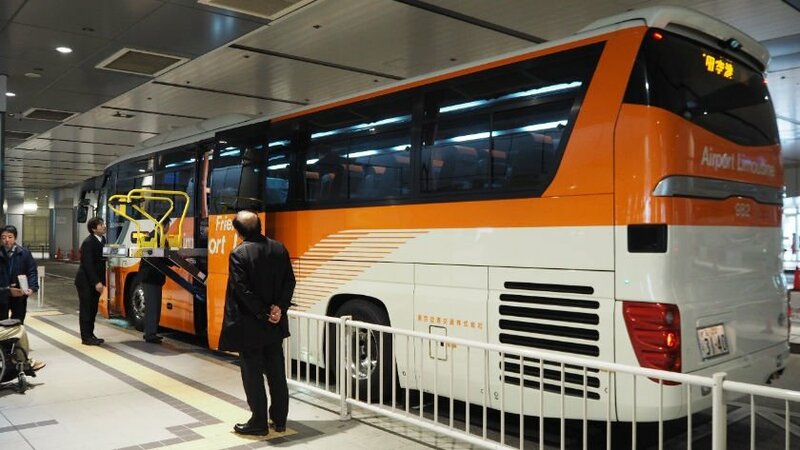 There are over 800 highway buses running in Japan, but there are very few buses with lifts. 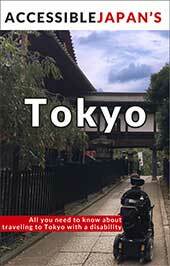 Even in the Tokyo area with the largest population in Japan, there are only 4 vehicles, and only 2 routes. 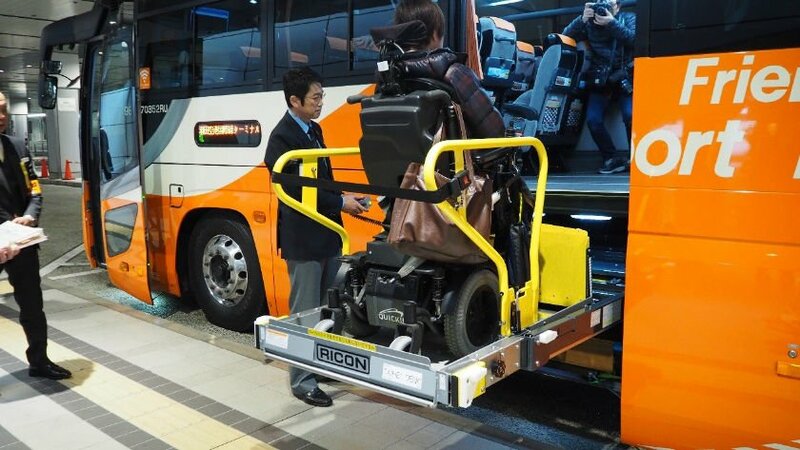 Buses with lifts must be increased before the 2020 Tokyo Olympic Paralympic Games. Additionally, staff training is necessary for wheelchair users to get on smoothly. It is important that wheelchair users participate in staff training. The most important thing is for wheelchair users to ride buses with lift a lot as it will makes buses with lifts more popular. Let’s ride on!